Come join our dance family at EDC! Pre-Tap is perfect for your little dancers. The fun filled class emphasizes balance, coordination and rhythm. Your child will develop their motor and rhythm skills. The children tap dance and sing their way to fun. Pre tap has proven to be a positive dance experience for all young dancers. All dancers must be potty trained. Pre-Ballet is perfect for your little dancer age 4 and 5. We will explore the wonderful world of ballet. Your dancer will learn poise, balance and basic ballet steps. Pre ballet is a wonderful addition to their pre tap class. All students need to be potty trained. Tap classes incorporate rhythm and timing while acquiring tap steps. It is performed to up beat music and is great for all ages. Jazz offers dancers the skill to put stylized movements together with contemporary music, jazz classes teach flexibility, style and rhythm, Jazz is offered for anyone five and older. Lyrical is a combination of ballet and jazz. This class emphasizes body placement, flexibility, and grace. This class is offered for any student seven and older. An ongoing ballet class is required. Modern Dance - a form of contemporary theatrical and concert dance. Focusing on balance, extension, isolation and control, using the principals of space, force, weight, gravity, and time. Modern dance is generally performed with out shoes. Ballet classes emphasize body awareness, poise, grace and flexibility. French terminology is introduced in all ballet classes. Ballet is offered for anyone five and older. Ballet is fundamental to all dancing and is highly recommended. Hip Hop is a combination of jazz and street dancing. It incorporates the latest style and music. This class is offered for dancers over the age of six. Jazz experience is very helpful for this class. Pointe Ballet All dancers taking a pointe class must be enrolled in 2 ballet classes and one of these classes must be a Cecchetti class, along with their pointe class. Teacher approval is required for this class. Hawaiian classes include authentic dances and music from Hawaii, Tahiti, and New Zealand. Hawaiian is fun for all ages. 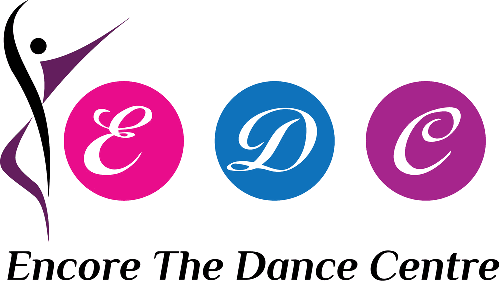 Competition team Encore offers competition opportunities to the more serious dancers. As a dancer progress in a certain subject the instructor may recommend them for our competition teams. Cecchetti Ballet These classes are for the more serious dancer who wishes to develop their ballet technique. The Cecchetti Council of America is an organization dedicated to maintaining the standards and method of ballet training established by Cav. Enrico Cecchetti. The organization uses his teaching and writings in a sequence of grades, carefully measured as to degree of difficulty and physical development, and provide a system of accredited examinations to test the student's proficiency within those grades.